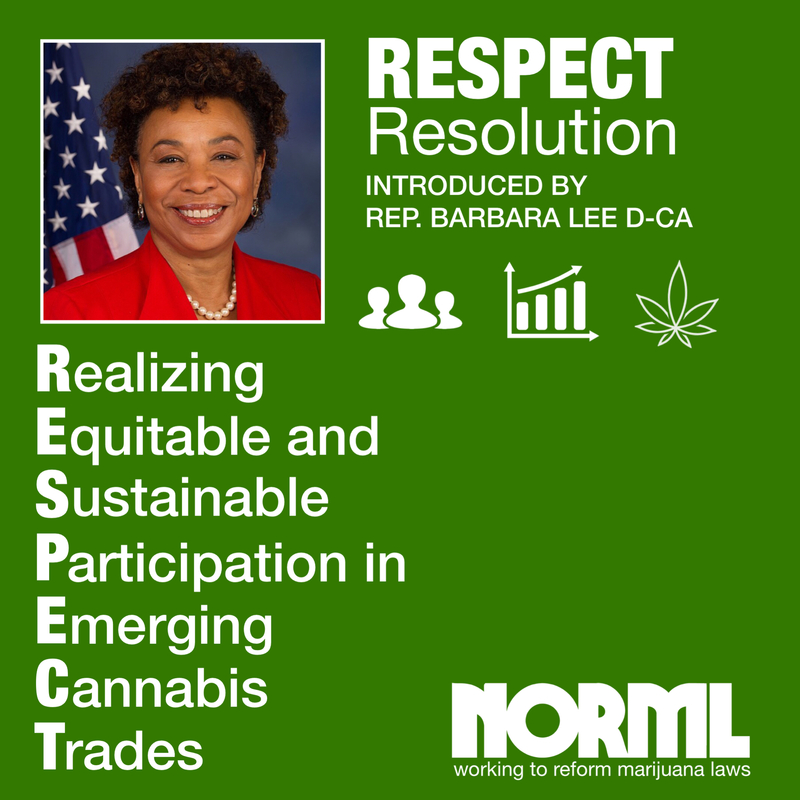 Today, Congresswoman Barbara Lee introduced The “RESPECT Resolution: Realizing Equitable & Sustainable Participation in Emerging Cannabis Trades” to elevate the importance of equity within the legal cannabis marketplace. The RESPECT Resolution seeks both economic and reparative justice, ensuring that disenfranchised communities will be able to benefit equally in the emerging legal and regulated industry. As more and more states dial back the war on marijuana consumers, it is important that those who were impacted by this oppressive criminalization are able to see previous harms remedied and be provided the opportunity to participate in the benefits that come along with legalization and regulation. It is absolutely crucial that future legalization efforts include avenues to expunge prior criminal convictions for actions which are now 100% legal. We sincerely appreciate Congresswoman Lee’s vision to facilitate those expungements at no cost to the individual. Currently, a complicated bureaucracy and unnecessary fees often prevent drug war victims from obtaining expungements and being able to fully participate in many aspects of civil society. Send a message to your Representative now in support of The RESPECT Resolution.